Based in Essen, Germany, nice 🙂 boasts 25 years in the market. This reputable event agency has a client portfolio including some of the leading national and international brands, offering them support with event production and delivery A–Z, in the most desirable destinations around the world. This October, they are organising an automotive congress in Monaco for 350 delegates. Therefore I interviewed Romain Deltour, Project Manager at nice 🙂 , to learn more about the background story, and the process behind choosing Monaco for this annual event. This is the fourth year that team nice 🙂 has worked with this automotive client. Each year they choose a new destination, and that can mean only one thing: destination choice becomes more selective each time, with higher expectations. This year, the client had very specific destination requirements: a maximum three hours flight time from Germany, with an international airport no further than 30 minutes away from the hotel and event venue. Additionally, the client was looking for hotel capacity that would accommodate all delegates together in one hotel. 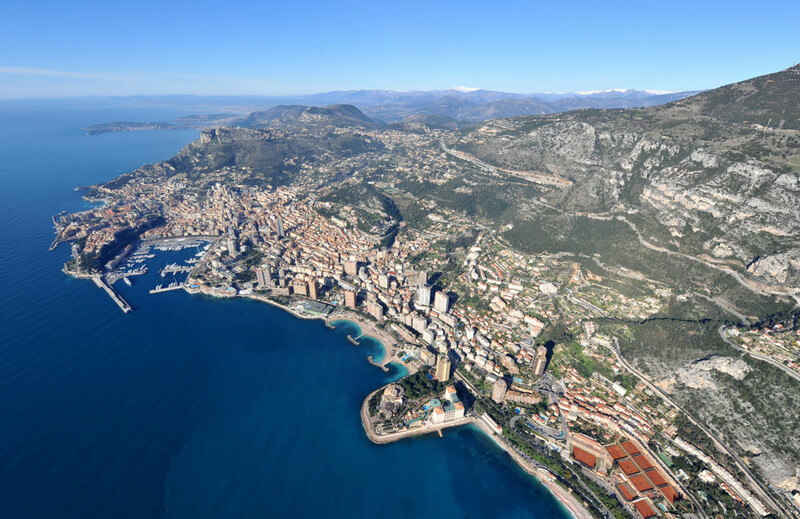 Of the three shortlisted destinations (Barcelona, Munich, and Monaco), Monaco was the favourite. Whilst the prestige of the location was a key factor, its choice can also be attributed to the competitive prices available, together with the client’s previous experience of hosting an event there. For such an automotive event, Monaco’s international appeal was an important consideration, especially as host of the annual F1 Grand Prix. Because there will also be a partner programme delivered together with the business congress, proximity and diversity of leisure activities were also taken into consideration. Finally, for such a prestigious event, free, reliable WiFi access is paramount. Therefore, all venues used during the programme will ensure this is provided for delegates. The Monaco Convention Bureau is readily available for supporting event planners, by connecting them with suitable local suppliers. On this occasion, the Bureau (represented by Lieb Management in Germany), only became involved at a later stage to assist in locating a perfect dinner location. Moreover, nice 🙂 had experienced a challenge finding a non-hotel venue. With the dinner for the first evening already arranged at a hotel, a more bespoke and prestigious experience was required for the second evening. The Monaco Convention Bureau excelled, introducing nice 🙂 to the Yacht Club de Monaco; exclusive, and certainly a venue that delivers the WOW factor. MICE is a face-to-face business. Therefore, supporting the client and delivering the best experience possible requires a personal approach to working with venues. For this event, it was important for team nice 🙂 that the venue representatives understood the automotive client, and endeavoured to fulfil their requirements. This is important for two reasons. First, communication is essential, as everyone should be on the same page and know what is happening and when. This enables seamless communication between all the parties involved. Second, flexibility is required at all times. For example, the final number of participants was only confirmed one month in advance. Therefore, the venue should be flexible, by adding or cancelling room allocations if required. The only benchmark for participant numbers can be the numbers from the previous year. To conclude, team nice 🙂 is very excited about heading to Monaco next month, for an event that has been over a year in the planning. Today, clients are more open to trying new destinations, especially if they can fulfil capacity requirements, and venues offer the flexibility of last minute changes. Monaco is a prestigious destination that offers a good value for money, and has fulfilled all the key requirements successfully. When team nice 🙂 returns from Monaco, I look forward to talking again with Romain, and receiving his feedback post-event. This will be presented as a case study, including additional information about venues, incentives, and client testimonials. Watch this space.